Earlier this year, Netflix revealed it intended to spend $2bn on marketing this year after it exceeded its Q4 2017 targets. Netflix CEO Reed Hastings revealed that Netflix’s content and marketing budget will rise to $10bn, which of which between $7.5bn to $8bn will be allocated to content production and the rest to marketing, while a further $1.34bn will be spent on tech. 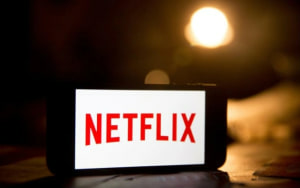 During the company's earnings call, Netflix chief financial officer David Wells said it has “leaned more into marketing" to promote its content. "As we create more and more of these titles that no one has heard of, we're going to need to lean a little bit more on promotion, and the website can't do it all," he said. “We turn them over, and then we'll increase or decrease based on the results as we see going forward, and I think that's the approach that you should expect from us." When asked if the marketing spend will impact how much will be spent on unique content creation, Hastings said the company has “big plans” for content growth and that will continue. In January, Netflix's fourth-quarter earnings pushed its market capitalisation past $100bn for the first time; it's market cap currently stands at more than $145bn on the NASDAQ today. Netflix added 8.3m new subscribers globally during its fourth quarter, the highest in its 20-year history. In Australia, subscribers hit 7.6m in September last year, according to Roy Morgan. The streaming giant posted a net income of $290m during its first quarter. In this market, Netflix competes with SVOD service Stan, which has been aggressively marketing across all channels. 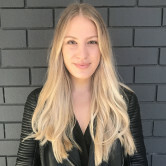 Other competitors include Foxtel Now, which leans heavily on TV ads, and SVOD service Hayu is also a fan of OOH advertising, in this market. Netflix added 7.41 million new subscribers in its first quarter of 2018, a 50% gain on the year prior and the business is pinning its success to its marketing efforts. The streaming giant said it is investing more in marketing new original titles "to create more density of viewing and conversation around each title”.